Sell Your House Connecticut Need To Sell Your House Fast? We Buy Houses! Tax Tips For Selling Your Connecticut House! It’s almost that time of year… yes, tax season is almost upon us! If you are selling a house in Connecticut , you will love these tax tips for selling your home! This article is for informational purposes only! For specific questions, contact a trusted tax professional, or the IRS! The deduction is only available when selling your primary residence, and can only be used once every two years. To qualify for the deduction, you must have lived in the residence for at least two of the past five years. It is important that whenever you move, your address is updated with the IRS. If you do not meet the requirements above, you might still be able to exclude a portion of your profits from your income tax. There are many special conditions you can meet in order to receive a prorated, tax-free gain. If you need to sell because of a change in your health, a job change or other unforeseen circumstances, you will be able to write-off a portion of the profit. You will need to report the sale if you receive a 1099-S form from the closing agent. This form provides the IRS with information regarding the proceeds from real estate transactions. To avoid reporting, make sure that you are able to exclude all profits. Let the agent know at the time of closing that the form will not need to be issued. Even if you are able to deduct all profits, if the form is issued, you will still need to file it with the IRS… even if no money is owed. If you are selling an investment property or house you have only owned briefly, you will likely be subject to the capital gains tax. Capital Gains taxes are dependent on how much you make. If you have a lower income, you will pay no capital gains taxes. People in higher tax brackets can pay upwards of 20%. Short-term assets are typically taxed the same as ordinary income. Depending on the dates you bought and sold, you might have to pay back all or part of the credit you received. Typically if you move within 36 months of purchasing the home, the credit must be paid back upon the sale of the home. Special rules apply and can be found in Publication 523 from the IRS. When selling your Connecticut house, you will be able to deduct any reasonable cost when selling your home. This includes the closing costs, improvements made in order to sell the house, assessments, marketing costs, agent fees and so on. Keep track of every cent you spend in an effort to sell your home. Come tax time, this can amount to major deductions! No matter what time of the year you sell, it is always important to seek the counsel of professionals. Consult your agent, accountant, and attorney to make sure you have set up the best terms for yourself. 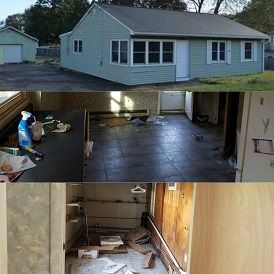 Don’t stress too much about taxes when putting your house up for sale in Connecticut . Odds are Uncle Sam won’t be getting his hands on your profits. Selling a property in today's market can be confusing. Connect with us by Submitting your info. 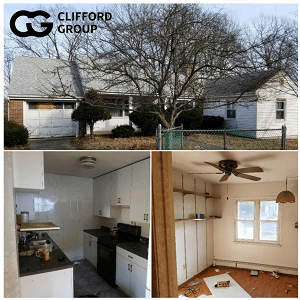 Blog: How To Sell Your House TIPS..
Clifford Group is a Real Estate Solutions company helping homeowners sell there houses fast. We are cash house buyers and active investors in the New Haven area.. And we can buy your house fast with a fair all cash offer. Sell your Connecticut house fast | As-Is | Top Dollar!! !